The self catering holiday cottage business has been established for some 15 years. Starting with just one holiday cottage (STABLE) in 1996. A few years later the main building was completely renovated to create 3 spacious holiday houses, and in 2002 the addition of 3 new holiday cottages within the walled garden, gave a total of 7 self catering holiday homes. WEST, MID, and EAST are all self contained holiday houses, but communicating doors allow this property to be opened up to provide "large group accommodation" for up to 19 guests under one roof. Adding the 17 bed spaces from the smaller holiday cottages, GORTON HOUSE and Cottages can accommodate up to a total of 35 guests. GORTON HOUSE, c.1670, occupies a charming position above the spectacular nature reserve of Roslin Glen. From the extensive grounds and gardens all guests in the holiday cottages and holiday houses can partake of the fine views of the Pentland Hills and the picturesque Rosslyn Chapel which is on the opposite side of the valley. 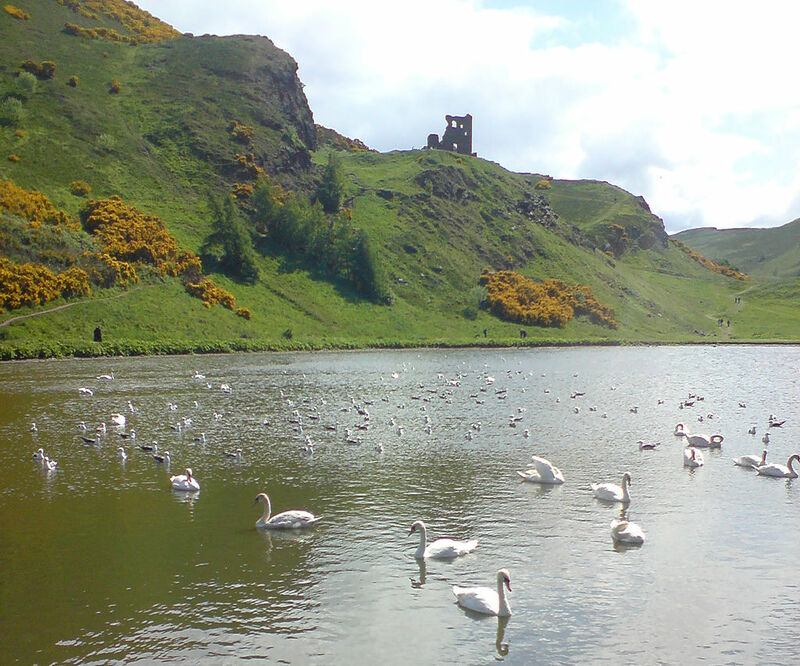 Edinburgh's famous Prince's Street and Edinburgh Castle are only 20 minutes drive away and the city provides all the attractions expected from Scotland's capital, yet within 5 miles of the rural setting of these holiday cottages are the sporting facilities of 8 golf courses, river and loch fishing, pony trekking, a dry-ski slope and 3 leisure centres with swimming pools. The Penicuik to Dalkeith walk/cycle track passes the gates of Gorton House, while the Pentland Hills Regional Park provides the backdrop and is readily accessible. The adjacent village of Rosewell has shops and pubs, as do the nearby communities of Bonnyrigg and Penicuik, while Loanhead is home to Edinburgh's IKEA.